Founded in 2008, 6waves is a leading publisher of mobile games, partnering with developers all over the world to bring the best games to our millions of users. With presence in Hong Kong, Taiwan, China, Japan, Korea, and the US, 6Waves has a unique international perspective and has forged successful partnerships with developers and from across the globe. 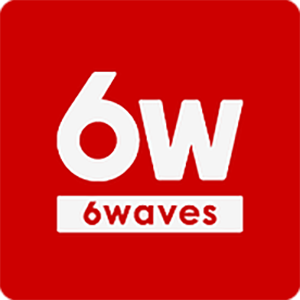 6Waves is a leading developer and publisher of social and mobile games. It translates, adapts and launches games into different languages and different global platforms including Facebook, iOS, Google Play, Amazon App Store. Based in Hong Kong, it serves more than 400 million gamers in over 150 countries, with a focus is on the Asian market. The company decided to concentrate on the Asian market as it is less saturated with game options than the western market. In Asia, however, connectivity is a major issue so stability and reliability were key factors in their request. Although 6Waves’ games aren’t the most latency-sensitive, it was still important for users to be able to get smooth and hassle-free downloads of both games and patches. They also required a solution that provided a good balance between performance and price. "We rely on good connectivity and Leaseweb’s network is much higher quality than others in the region." We provided 6Waves with leading brand Dedicated Servers in our Hong Kong and Singapore data centers. Connected to the Leaseweb global network, this provides superior connectivity and guarantees reliable connections for 400 million gamers in 150 countries around the world. The proximity of our data centers to the established and emerging markets of Asia was particularly important, enabling fast and stable downloads for users. In addition, we provided Dedicated Servers and Virtual Servers in the USA for one-off and development projects. Given Leaseweb’s'global footprint, 6Waves regards Leaseweb as a partner they can grow with as they look towards the future.